Why did you choose to build a track bike for your first one? I decided to build a track frame because I had been working as a bike messenger and had been riding a fixed gear bike exclusively for the 3 years before I built the frame. Being relatively short, it was always hard for me to find a decent frame, especially a lugged one, and that was part of my motivation for building it. How did you learn to be a framebuilder? After learning from Yamaguchi I started to piece together my shop space back in Texas and built a few more frames on my own. In 2008, I went to Michigan to take another class from Doug Fattic. I then stayed on for a couple months helping Doug out in his shop and then went to Ukraine and spent a couple of months building frames for a project Doug had set up over there. Learning from Yamaguchi, Fattic, and my time spent in Ukraine helped me develop and refine both my skills and knowledge of frame building. 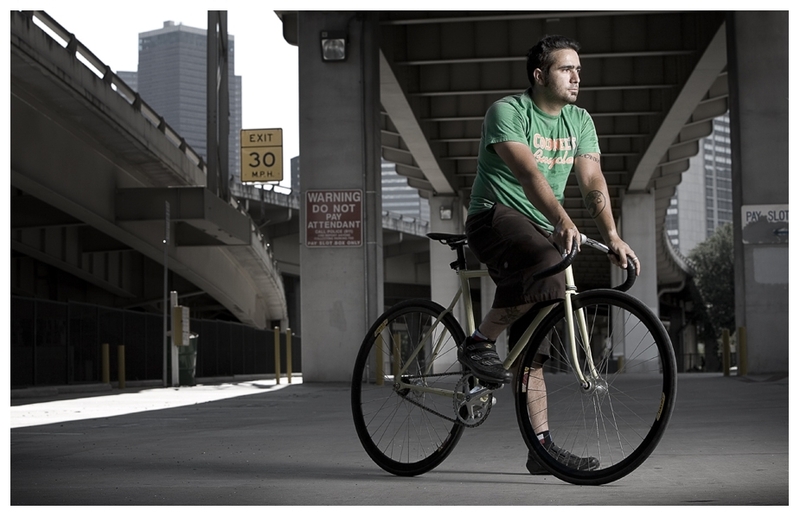 After 3 years of building frames for myself, family, and friends, I set up Gallus Cycles as a business building frames for other people. However, I feel that to keep progressing as a frame builder, craftsman, and a cyclist the learning process should never stop. Repetition; constant research into the past, present, and future of cycling/frame building; and trying new and more difficult things are the keys to becoming a better builder. Did you go into it planning to make frame building a career or did that come later? Yes, I started with the very naive notion of becoming a frame builder. I was living in Scotland and going to architecture school. I lucked out and had gotten a part time job as a bike messenger. It did not take long for me to realize that I enjoyed bikes more than just about anything. For fun, pride, and to some extent, poverty we did all our own repair work and bike builds. We would always be swapping out parts and frames, trading components. Everyone taught each other what they knew. Having a strong background in design and being pretty good with my hands, I decided that I was that “someone” who needed to build these handmade bicycles. If I get a good idea in my head I stubbornly go after it instead of sitting around talking about it for ages, so once I had come across Yamaguchi I was back in the States getting flux on my hands and firing up the torch. That was nearly 6 years ago, and it has been an interesting journey. I had definitely underestimated what it would take to get everything set up, both the time to acquire the skills and knowledge, the funds to get tooling and start a business, along with juggling that with part time work, social life(I used to have one, I think), and still getting some miles in on the bike. You can never expect reality to turn out just how you envisioned it, otherwise it would simply remain a dream. All that aside, I am more than happy and comfortable with how far I have progressed since that first frame back in 2006. I couldn’t see myself doing anything else and look forward to what the future has in-store for me and my bicycles. This entry was posted in Frame Builders, My First Bike and tagged custom frame builder, custom track bike, doug fattic, gallus cycles, texas frame builders, yamaguchi. Bookmark the permalink.